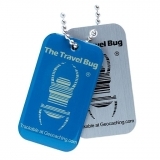 Travel Bugs, just like Geocoins, are Travellers, which are the personal property of their owners and not trading items (swag). 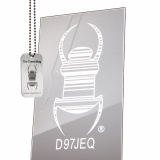 The Groundspeak Travel Bug® is a true classic Trackable Traveller: it is lightweight, cheap and unique! 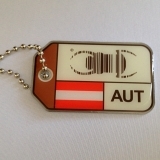 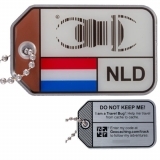 Like Geocoin Trackables, each Travel Bug® is assigned a unique tracking ID, which can be tracked on geocaching.com and allows them to travel from geocache to geocache or to be passed amongst friends. 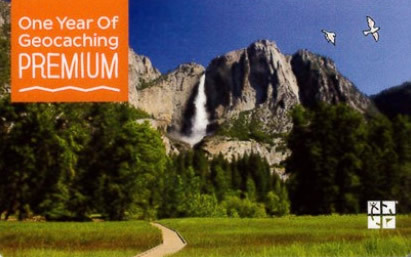 Many Travellers have specific goals or destinations they wish to achieve. All of the geocaches they enter or exit from is marked specifically, so that the Travellers have the entire history shown on a map of the world. If you find a Traveller, you may take it from the Geocache and log that you have it. 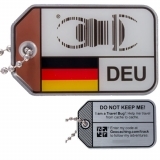 Afterwards place it in another Geocache with the intent of helping it with it's goal. 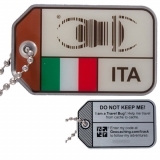 A geocacher should only hold onto a Traveller for a short time before releasing it back into the world of geocaches. 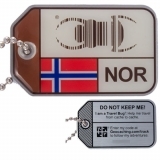 For more information, see Geocaching.com/Travelbug. 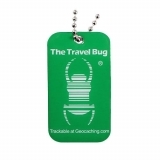 Geocaching Travel Bug® Static Cling 3"
Vehicle Travel Bug® Decal 5"
Geocaching Travel Bug® Static Cling 5"